A fugitive in a suspected stolen red sports car is heading east towards city center. He is thought to be armed and dangerous and is refusing to stop. Use your brain to box the suspect in and block off all escape routes! 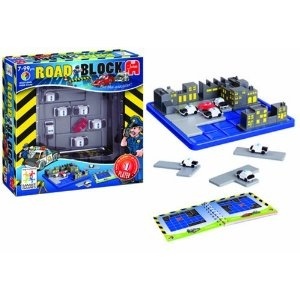 In RoadBlock, you are the chief inspector! It's your job to coordinate your squad of officers and get their patrol cars to zero in on the suspect, block his escape, and arrest him. 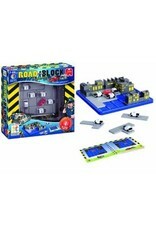 With 60 challenges, Roadblock is a fantastic multi-level logic game.